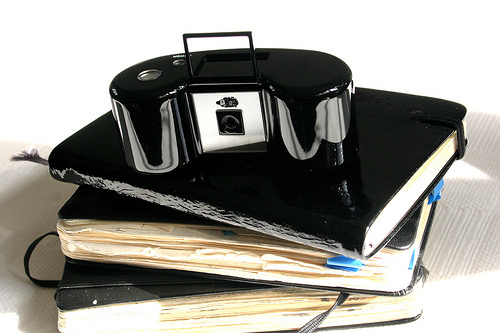 The Digital Harinezumi is Superheadz' first step to include digital photography into its analog adventure. Some may think it is a betrayal to its analog origin but hey, why not take the advantages of both worlds and explore more. The beautiful almost piano finishing look of the digital counterpart is truly attractive under sunlight. Having the privilege to play with it for a week, I realized that this is again yet another camera from Superheadz which makes people around you wonder, after Blackbird Fly. 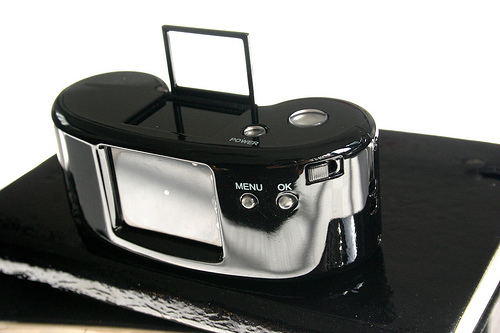 It retains the cuteness of the original 110 film harinezumi but with a digital twist. There is an LCD screen on the back, 4 control buttons and 1 spring loaded switch to mimic film winding. It is almost like a camera used by spy, especially when you can switch the camera into macro mode and take very clear images of documents. Funny thing about it is that you don't get the LCD screen to work for you to preview before you take a photo, you just guess shooting. I'm sure this 'feature' is intentionally installed by Superheadz. The image is really high contrasted and color boosted, so you may get some strange analog effects for your benefit on one hand, but terribly red shift of color in low light condition on the other. One thing I don't like about it is that all photos you take will have the same 1st Jan 2009 00:00:00 date stamp, which means you can't organize photos by date automatically by photo archiving softwares. Oh and the price tag is enough to scare you off. Another cool feature is that you can use it to make old movies. Intentionally mimicking 8mm film, you don't get sound out of the movies, in fact the resulting movies have a faint background noise which maybe intentionally included as a 'feature' as well. I had some fun with the movie feature last night and edited using iMovie to create this video you see above. Background music: You Are The Moon by The Hush Sound. To look at it at better resolution, check out the vimeo post of this movie here.